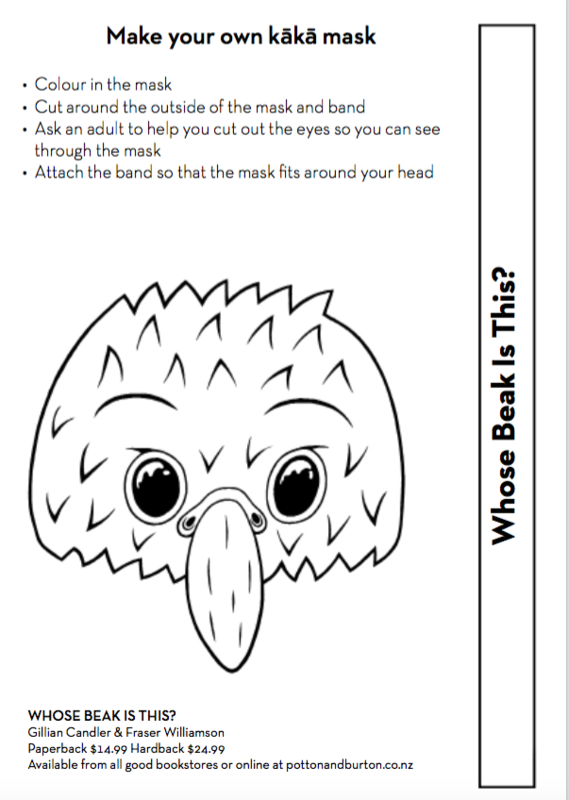 “Whose Beaks is This?” is a guessing game in a book and a fun way to learn about bird adaptations. Fraser Williamson’s funky and colourful illustrations hit the spot with kids. 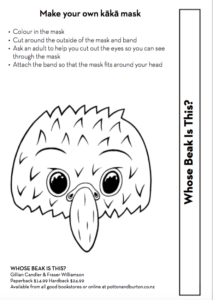 Fraser has also designed a Kaka mask for children to colour and make up which we gave away at the launch of the book. So in honour of the awards finalists being named here’s a copy of the mask for everyone to enjoy. Print the picture below out A3 and the mask will fit a child’s face. 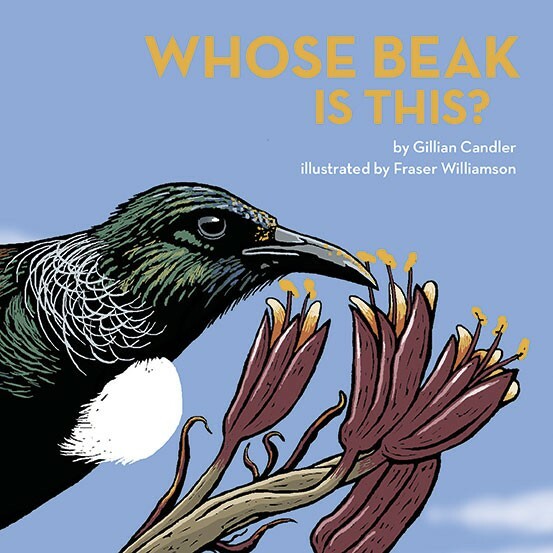 My first book for children “At the Beach: explore and discover the New Zealand seashore” won the Elsie Locke Award in 2013, and both “At the Beach” and “Under the Ocean: explore and discover New Zealand’s sea life” were both finalists in the NZ Children’s Book Awards. See more about My Books here.